The Share of GNU/Linux distributions (as a Desktop Operating System) has increased significantly in the past few years, and it’s growing very fast. Among the new Linux users, most of them are common desktop users who just want to get things done without much hassle. They need a simple and easy to use graphical interface not a green/black terminal (although, the terminal will help them a lot but it shouldn’t be compulsory, rather it would be like an extra tool – that they might want to learn, in order to become an advanced user). There are various flavors of GNU/Linux distributions – some of them are dedicated for a specific purpose while some of them are targeted for common desktop users. Among these commonly used Linux distros, few most popular Linux distributions are – Ubuntu, Fedora, Linux Mint, ArchLinux, OpenSuse etc. Ubuntu holds around 50% share in Linux Desktop market, so it’s the most popular one – it has growing community, large number of developers, wide collection of free and open source applications (now, paid apps are also available in Ubuntu Software Center). 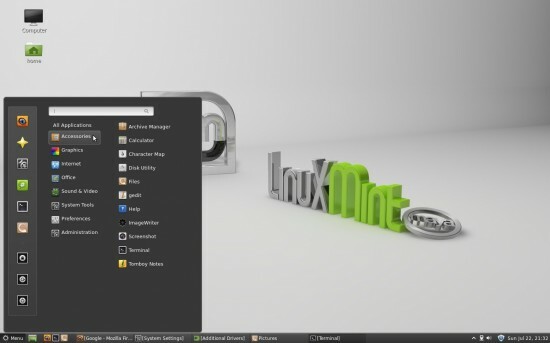 Linux Mint is derived from Ubuntu, but it focuses more on Linux beginners and non-technical users. So it’s the most beginner friendly Linux distro available now. it’s user base is also growing very fast. Linux Mint 13 – The Best Linux Distro for Beginners! Linux Mint 13 “maya” is the latest stable version, there are various editions, depending on the desktop environment such as MATE, Cinnamon, KDE or XFCE. Linux Mint 13 – Cinnamon is the best one! Cinnamon is a new desktop based on GNOME 3/ Shell but it’s more beginner friendly with an intuitive UI. Why Linux Mint 13 is the most beginner friendly GNU/Linux OS ? Linux Mint 13 comes bundled with commonly used applications such as VLC player, Firefox Browser, Thunderbird (Email Client), Libre Office (equivalent to MS Office) etc. Restricted libraries and codecs pre-installed, which some times causes a lot of headache for beginners – because of that – they can’t even play a music file or video from computer, not even in browser because of flash player. 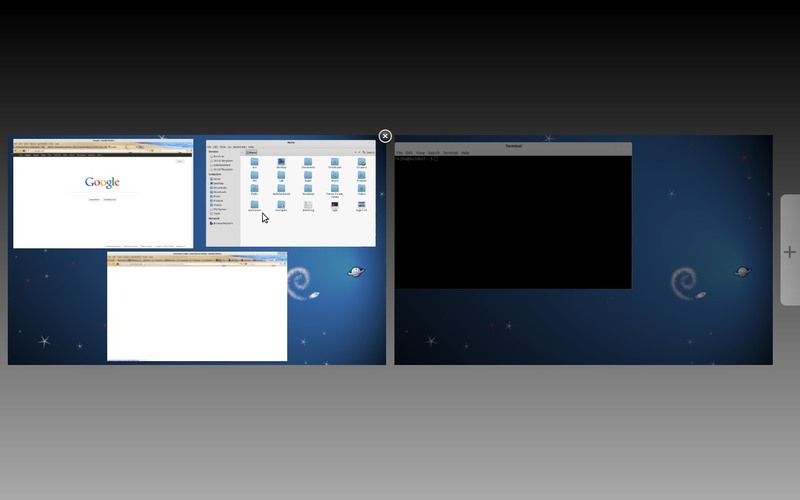 The desktop environment such as Cinnamon or MATE are very beginner friendly – as it follows the conventional Desktop layout, so users feels more comfortable, specially to the users coming from the Windows(7, XP or whatever). It has nice graphics effects that makes a desktop experience a lot fun, if your computer doesn’t support heavy graphics stuffs then it can easily fall back to simple mode. Application management has become very easy – just go to Software Manager and install the cool apps – in a couple of clicks (or update/remove the previous installed one). System can be updated – in one click – using the default system tool – update manager. Cinnamon desktop (or MATE or whatever you’re using) can be customized – in a couple of clicks. 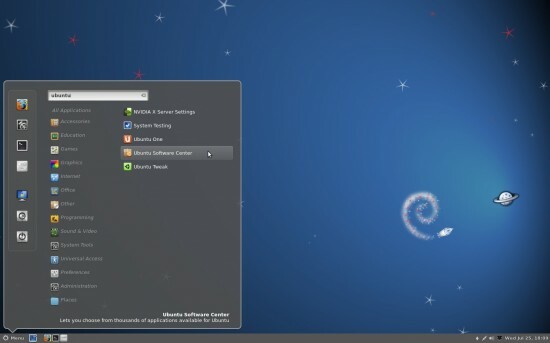 In other distro – you would be searching for some tweaking tools but in Linux Mint 13, you got the customizing application – installed by default. You just go to System settings and start customizing your desktop. 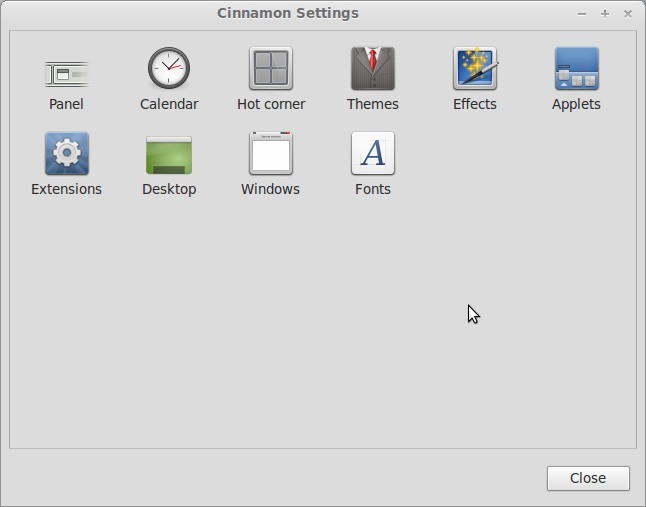 It’s very easy to change/customize themes, icons, fonts, panels etc, with the tool called – Cinnamon Settings. Are you Ready to Try Linux Mint 13 ? If yes, then refer this Getting Started Guide for Linux Mint 13 Beginners. Linux Mint 13 (Maya) is based on Ubuntu 12.04 LTS Edition, but instead of using Unity as the default Desktop, Linux Mint uses MATE Desktop, although, It is also available with various other Desktop such as Cinnamon (A new Desktop based on Gnome Shell), KDE, XFCE etc. Additionally, a lot of useful programs and codecs/libraries comes pre-installed in Linux Mint – so it makes Linux Mint 13, a very beginner friendly – GNU/Linux distribution. 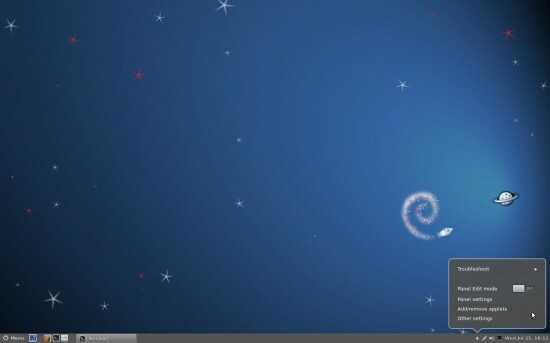 This post is primarily written for those who are new to Linux Mint (probably most of them are windows losers users, who want to migrate from Windows to a Desktop friendly – GNU/Linux distribution (such as Linux Mint, Ubuntu, OpenSuse etc)), so that they can easily start using Linux Mint for their common tasks such as Internet Surfing, watching Movies, Listening Songs, Creating Documents/Tables etc or the specific tasks such as programming, recording (audio/video productions), graphics designing etc depending on their need. Although, you can run Linux Mint using a live USB or DVD but it would be better if you install on your hard disk if you really want to enjoy the full experience of Linux Mint. You must pick up the right edition – Linux Mint 13 with MATE, Cinnamon, KDE or XFCE Desktop for the corresponding architecture (32 or 64 bit) and with the codecs of-course (although you can install that stuffs later but it will save your time). MATE is the most stable desktop, Cinnamon is cool and a new desktop which looks very promising, but it’s under heavy development – so it may not be suitable for production environment. KDE is also cool and pretty stable, and you may like it if you are migrating from windows. XFCE is very fast and lightweight desktop, so it’s a decent option for you if you want a desktop that just works – pretty fast, without much fancy eye candy stuffs (although, you can still do such things in XFCE but it requires few extra steps). Update! 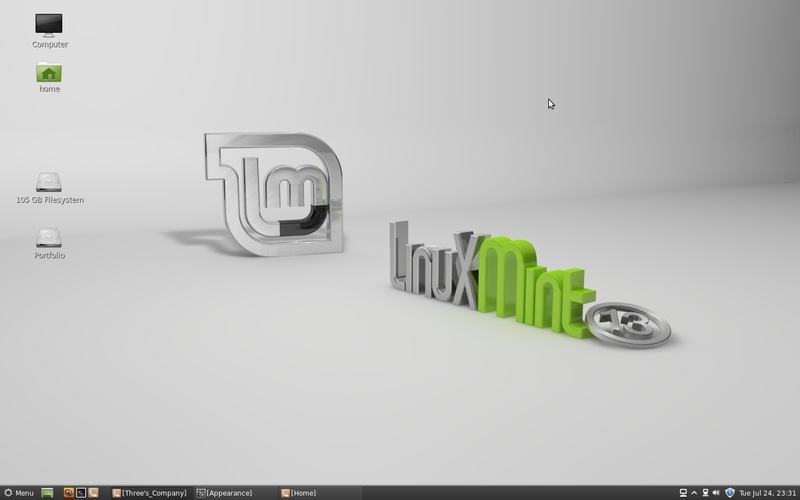 Added a screencast describing installation steps of Linux Mint 13 Maya Cinnamon edition. It may help you in installing Linux Mint – on a custom partition – in parallel with your existing operating systems such as Windows 7, Mac OS X etc. Although, Linux Mint 13 comes with codecs and libraries/plugins pre-installed but there are still a lot of things you are recommended to do, just after a fresh installation. I’ve already explained few things you must do after installing Linux Mint 13. For reference, you can use this free PDF as a reference for learning some cool stuffs. The pdf explains about Ubuntu 12.04 but most of tips work perfectly in Linux Mint too, because Linux Mint 13 is based on Ubuntu 12.04 LTS, just leave out the ubuntu specific things such as Unity.